You are awesome. Brilliant. Genius. The archives are incredible. Given the opportunity, I could spend hours (nay, days!) browsing through the maps, photographs, and sketches that the library has collected over the last several hundred years. And my favorite, you ask? 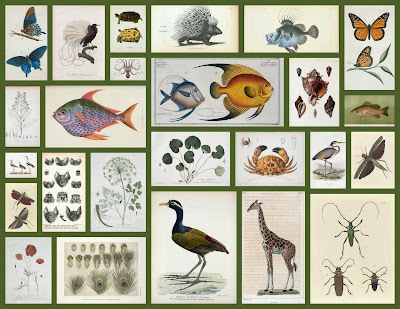 Why, without a doubt, that would be the Classic Illustrated Zoologies and Related Works, 1550-1900. Duh. 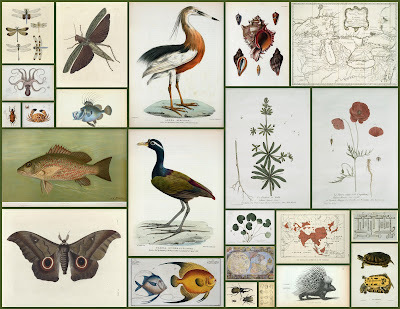 The Audubon folio by itself was enough to make me swoon. Sold, in its entirety, to the library, by Audubon's widow for $2,000 bucks. Oh my god. One can only wonder what it's worth today. I've included a few (ok, many) of my favorites in the collages, above. Double click on the bottom photo to take a closer peek.